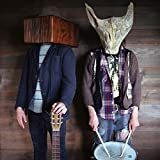 On their second full-length, Two Gallants weave urgent back-alley storytelling with no-frills instrumentation that alternately boils with visceral fervor and mourns with plaintive restraint. The youthful duo play a strain of rock that falls somewhere between folk, punk, and old-time blues and the resulting sound is much more than the sum of its parts. 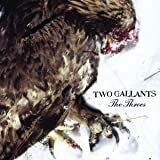 Two Gallants draw on Old West images and themes of revenge, redemption, and shifty morality to create wide-swinging moods trafficking in brash ferocity, repentant regret, and freewheelin' Americana. The double LP version includes two bonus tracks from the band's early recordings. A great album, plays perfectly, and arrived on time in protective packaging. 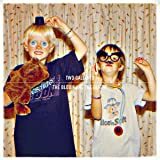 Music like that from Two Gallants is made for the vinyl medium. I am very picky about what is worthy enough to purchase on wax and this band is definitely worthy. Good solid album. Definitely worth the buy. Love this album, everything I expected and then some. I will definitely be checking out more of their work after hearing this album. 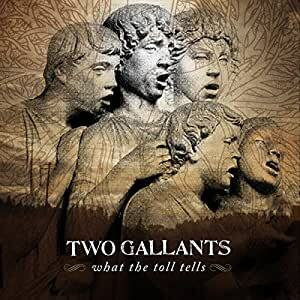 What the Toll Tells is a fabulous album. Just go ahead and do yourself a favor, get it. You are welcome, friend.